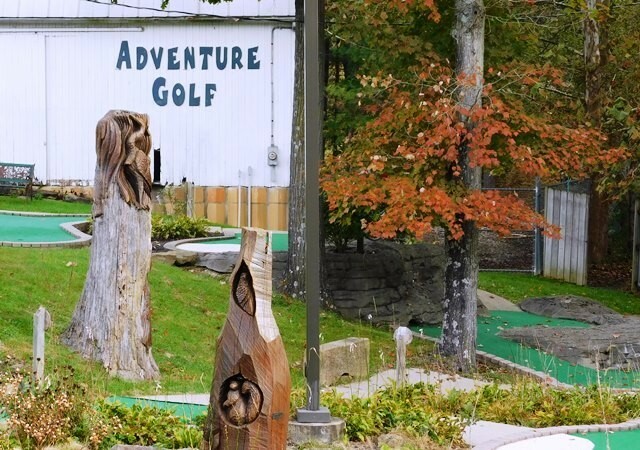 ﻿ Adventure Golf at Rempel's Grove - Ohio. Find It Here. 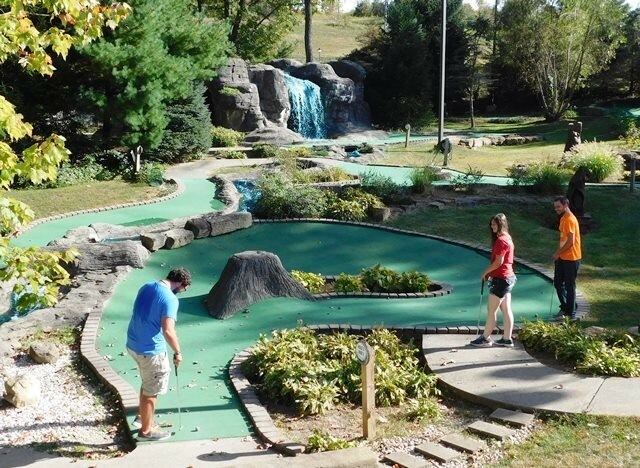 Fun for the "hole" family, this 18 hole mini golf course includes a waterfall, tricky shots, and a challenging mini golf adventure. Walk through a cave, enjoy the beautiful wood carvings and flowers, and spend some time with family and friends. We are located in Rempel's Grove between our sister ice cream shop, Treehouse Treats and Treasures and Ruby's Petting Zoo, where you can feed deer and Pygmy goats.